Getting to know where to stay is probably what you think at first once landing your feet on Incheon International Airport. Yes, you can’t avoid a layover in this such biggest and busiest airports in the world. Do not worry. It is still relieving that you can arrive at the top international airport in South Korea. It has many outstanding facilities that will make your layover not turn into a disaster. You may even call it a small vacation in the town too. There are two terminals, i.e. Terminal 1 with 5 floors and terminal 2 with 6 floors. Each terminal also has a transportation centre, public area and duty-free. Arriving too late or having to catch the next flight early in the morning? It is better to relax your bones rather than taking your feet for exploration. The good news is you can easily find hotels near Incheon Airport. Even if your next plan is going to the city centre, not taking another flight, it is okay to book a hotel near the airport. Just leave your luggage and go to Seoul hassle free. So, how many options do you have? The following is a list of recommended hotels, within the airport or nearby. At terminal 1, the airside fourth floor, you can find Incheon Airport Transit Hotel. It opens only for travellers who take international flights. There are also day rooms provided for 6 hours (7:30 am to 6: pm). 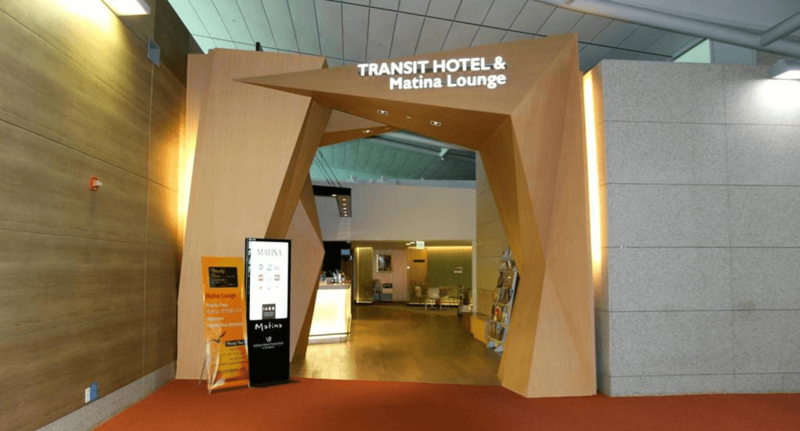 Incheon Airport Transit Hotel can be found too at Terminal 2, airside, near Gates 252. Again, it is only provided for travellers who are transiting between international flights with the same day rooms available like the one at Terminal 1. If you have experienced any capsule hotel before, you should check in at Darakhyu Capsule Hotel Incheon Airport. You will find it at some locations landside, public zone, and first floor of Transportation Center, close to the entrance to the airport train and nearby the bus ticket counter in Terminal 2. Each capsule room comes with some essentials including a single or double bed, WiFi, desk and Bluetooth speaker. Some even have its own showers. Each location has 60 rooms. And you should stay at minimally for 3 hours. Hotel Hu Incheon Airport is located 3 minutes away from the airport with the free scheduled round-trip shuttle available every 10 to 15 minutes every day from 5:30 am to 12:30 am. You can get on and off of the bus at the third floor of International Terminal. Grand Hyatt Incheon is just beside the airport terminal. You can also take an airport shuttle bus for free. It runs every 15 minutes daily from 5:00 am to 11:00 pm. The pickup and drop-off spot is the arrivals 3C or 14C. Best Western Premier Incheon Airport is also just about 700m far from the terminal. There is scheduled round-trip shuttle bus available from 6:00 am to 11:00 pm to take for free. The bus runs daily every 30-60 minutes, with pick-up and drop-off spot at Arrivals 14C. Staying in a hotel room can offer you better privacy and comfort than just lying on any possible space at the airport. You do not need to worry about how to secure your stuff too. If you want to save some, small space with some necessary items that a capsule hotel room can offer is enough. Since each capsule hotel only has 60 rooms, there is no guarantee you will get a room. So, it is a lot better to book in advance. This idea goes the same when you want to make a reservation for flight tickets. Visit Airpaz to find the best deals.